Dwight is a well known member of the group known as the Saviors. He uses a crossbow similar to the one that Daryl uses in the comics. Though Dwight is one of Negan's better warriors he is also one of the least happy. Half of his face is badly burned by Negan for disobeying orders. 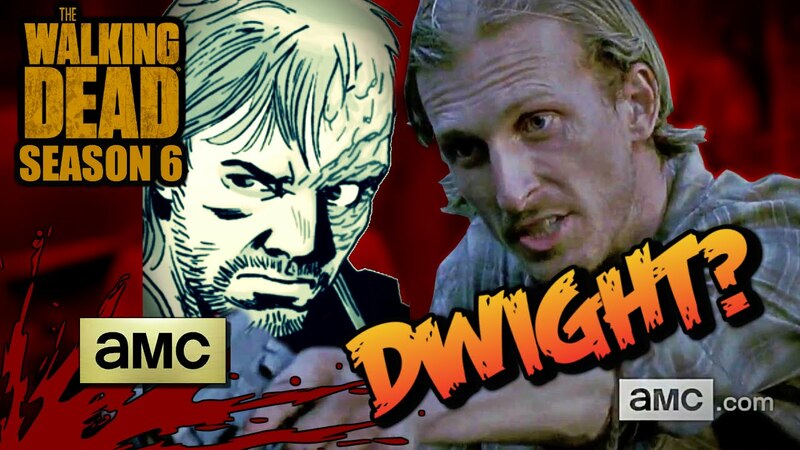 Dwight is played in the TV by actor Austin Amelio. Crossbow - While Daryl on the TV series Walking Dead is well known for carrying a crossbow, Dwight is the only comic character known to do so. Dwight is a Savior warrior who is proficient with using a crossbow. Before the Apocalypse it is said that he was a soldier which explains some of his martial skills. He was also married to a woman named Sherry. After joining the Saviors, Negan the groups leader takes Sherry as one of his wives/concubines. Seeing Negan's women is forbidden even if the woman was your wife before Negan took her. Dwight at some point attempted to see Sherry and was caught. For this infringement half of his face was burned / melted using a red hot iron. Dwight is obviously very angry with Negan but to survive hides his emotions and serves as a Savior warrior. Dwight is one of the first Savior commanders encountered by the Alexandria Safe Zone community. He kills Abraham Ford and captures Eugene. However, Eugene bits him in the crotch and escapes. Rick settles things down and agrees to the Saviors terms and lets Dwight go. This move is done by Rick to make Dwight think that community will comply with their terms. However, Rick actually has Paul Monroe follow Dwight. On the way back a Savior captures Paul following Dwight. By the time they reach the Savior base Paul has escaped. Worried about Negan's reaction Dwight tells the other Savior to not mention Paul. Dwight is next seen looking at Sherry fondly during a ceremony where another man's face is burned for attempting to see one of Negan's "wives". Negan makes a lewd a comment about sleeping with Sherry to Dwight. This comment seems to be the tipping point for Dwight and he decides to begin helping the Alexandrians take down Negan. He then travels to meet with Ezekiel of the community known as the Kingdom. At the Kingdom secret meeting with Rick, Paul and Ezekiel, Dwight agrees to tell them everything about the Saviors and becomes a mole for the group inside to take down Negan. Rick is initially skeptical but after Dwight talks about how he traded his wife to Negan to move up in the group, and how he had his face ironed the deal is cemented. Dwight is major character in the story called All Out War where the communities face off in a large scale series of battles against the Saviors. In one scene Negan forces Dwight to shoot Rick with what was assumed to be a zombie blood tipped arrow. He shoots Rick in the leg and Negan assumes this arrow has killed Rick. However, Dwight used an arrow that was not poisoned with zombie blood and Rick survives. This comes to ahead when a living Rick surprises and defeats Negan. Rick makes Dwight the leader of the remaining Saviors much Dwight's chagrin. Later Dwight confronts Rick wanting him to appoint a new leader. Dwight is played in the TV by actor Austin Amelio. In Season 6 Daryl is captured by a man named Dwight with a wife named Sher. They are part of a different group that has strict and bizarre rules. Part of the rules include trading. The pair steal Daryl's crossbow and motorcycle. As they leave Daryl tells them that, "They will be sorry."